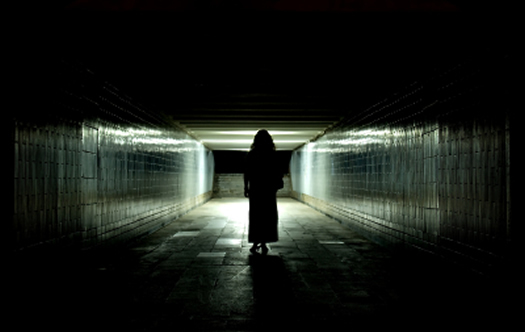 SEO Findings From Google’s Phantom Update on May 8th, 2013 | Was It Penguin 2.0 in the Wild? In early May there was a lot of chatter in the webmaster forums about a major Google update. Google wouldn’t confirm that it occurred (big shock), but the level of chatter was significant. Not long after that, Matt Cutts announced that Penguin 2.0 would be rolling out within the next few weeks, and that it would be big. All signs point to a major update that will be larger and nastier than Penguin 1.0. Now, I’ve done a lot of Penguin work since April 24, 2012 when Penguin 1.0 rolled out, and I can’t imagine a larger, nastier Penguin. But that’s exactly what’s coming. So what was this “phantom update” that occurred on May 8th? Was it a Panda update, some other type of targeted action, or was it actually Penguin 2.0 being tested in the wild? I’m a firm believer that Google rolls out major updates to a subset of websites prior to the full rollout in order to gauge its impact. If Penguin 2.0 is rolling out soon, then what we just saw (the phantom update) could very well be our new, cute black and white friend. I guess we’ll all know soon enough. Penguin 2.0 launched on May 22nd and I have analyzed a number of sites hit by latest algorithm update. I published a post containing my findings, based on analyzing 13 sites hit by Penguin 2.0. You should check out that post to learn more about our new, icy friend. The first webmasters to contact me about this phantom update were confused, nervous and seeking help and guidance. They noticed a significant drop in Google organic search traffic starting on the prior day (May 8th), and wanted to find out what was going on. Four websites in particular saw large drops in traffic and were worried that they got hit by another serious Google algorithm update. So, I began to heavily analyze the sites in question to determine the keywords that dropped, the content that was hit, the possible causes of the drop, etc. I wanted to know more about this phantom update, especially if this could be the beginnings of Penguin 2.0. After digging into each of the four sites since 5/9, I have some information that I would like to share about what this phantom update was targeting. Since Penguin 1.0 heavily targeted unnatural links, I wanted to know if this update followed the same pattern, or if there were other webspam factors involved (and being targeted). Now, my analysis covers four sites, and not hundreds (yet), but there were some interesting findings that stood out. Below, I’ll cover five findings based on analyzing websites hit by Google’s Phantom Update on May 8th. And as Penguin 2.0 officially rolls out, keep an eye on my blog. I’ll be covering Penguin 2.0 findings in future blog posts, just like I did with Penguin 1.0. One of the websites I analyzed was upstream unnatural links-wise. It definitely isn’t a spammy website, directory, on anything like that, but the site was linking to many other websites using followed links (when a number of those links should have been nofollowed). Also, the site can be considered an authority in its space, but it was violating Google’s guidelines with its external linking situation.I’ve analyzed over 170 sites hit by Penguin since April 24, 2012, and this site didn’t fit the typical Penguin profile exactly… There were additional factors, some of which I’ll cover below.But, being an upstream source of unnatural links was a big factor why this site got hit (in my opinion). So, if this is a pre-Penguin 2.0 rollout, I’m wondering how many other sites with authority will get hit when the full rollout occurs. I’m sure there are many site owners that believe they can’t get hit, since they think they are in great shape as an authority… I can tell you this site got hit hard. 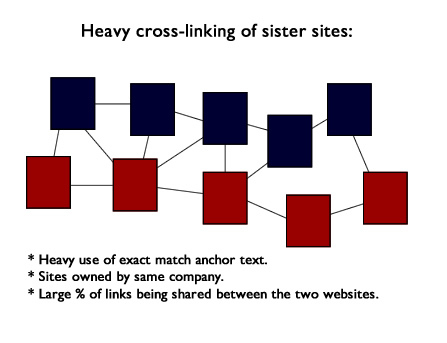 Two of the sites that were hit were cross-linking heavily to each other (as sister websites). And to make matters worse, they were heavily using exact match anchor text links. Checking the link profiles of both sites, the sister sites accounted for a significant amount of links to each other… and again, they were using exact match anchor text for many of those links. It’s worth noting that I’ve helped other companies (before this update) with a similar situation. 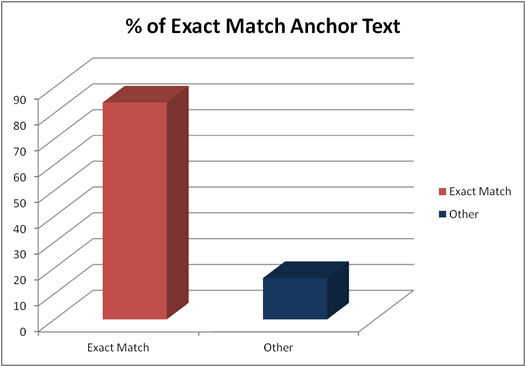 If you own a bunch of domains, and you are cross linking the heck out of them using exact match anchor text, you should absolutely revisit your strategy. This phantom update confirms my point. This was more traditional Penguin 1.0, but each of the four sites had risky links. Now, one site in particular had a relatively strong link profile, has been around for a long time, and had built up a lot of links over time. But, there were pockets of serious link problems. Spammy directories, comment spam, and spun articles were driving many unnatural links to the site. But again, this wasn’t overwhelming percentage-wise. I’ve analyzed some sites hit by Penguin 1.0 that had 80-90% spammy links.This wasn’t the case with the site mentioned above. Two of the sites I analyzed had more spammy links. Their situation looked more Penguin 1.0-like. And they got hit hard. There were many spammy directories linking to the sites using exact match anchor text, comment spam was a big problem, etc. And drilling into their historic link profile, there were many more that had been deleted already. So, their link profiles had “unnatural link baggage”. And I already mentioned the cross-linking situation earlier (with two sites). So yes, links seemed to have a lot to do with this phantom update (at least based on what I’ve seen). To make matters more complex, two of the sites were also scraping some content to help flesh out pages on the site. This wasn’t a huge percentage of content across each of the two sites mentioned, but definitely was big enough of a problem that it stood out during my analysis. The other two sites didn’t seem to have this problem at all. Scraping-wise, one site was providing excerpts from destination webpages, and then linking to those pages if users wanted more information (this was happening across many pages). The other site had included larger portions of text from the destination page without linking to it (more traditional scraping). OK, this was interesting… All four sites I analyzed had been hit by at least one Panda update in the past. Two were hit by the first rollout (Feb 2011), one was hit in July of 2012, and the other in September 2012. Clearly, Google had a problem at one point with the content on these sites. So, how does that factor into the phantom update or Penguin 2.0? I’m not sure, but it was very interesting to see all four had Panda baggage.So, does your Google baggage hurt you down the line, and does the combination of unnatural links and content spam exponentially hurt your site with this update? I’ll need to analyze more sites before I can say with confidence, but it’s worth noting. By now, you might notice something important… how hard analyzing updates like this can be for SEOs (and trying to pinpoint the root cause). Was it unnatural links that got these sites hit by the phantom update, or was it the content piece? Or, was it the combination of both? If this is Penguin 2.0, does it score a site based on a number of webspam tactics? Based on what I’ve heard and read about Penguin 2.0, this very well could be the case. Again, more data will hopefully lead to a clearer view of what was targeted. The Big Question – Was this Pre-Penguin 2.0 or something else? Based on my analysis of sites hit by the phantom update, I’m wondering if we are looking at a two-headed monster. Maybe some combination of Panda and Penguin that Google is calling Penguin 2.0? If that’s the case, it could be disastrous for many webmasters. And maybe that’s why Matt Cutts is saying this is going to be larger than 1.0 (and why he even shot a video about what’s coming). Based on what I found, links seemed to definitely be an issue, but there were content issues and earlier Panda hits too. There were several factors at play between the four sites I analyzed, and it’s hard to tell what exactly triggered each hit. The only good news for webmasters out there is that none of the four seemed like collateral damage. Each had its own issues to deal with webspam-wise. That’s all I have for now. If you have any questions, feel free to include them in the comments below. And definitely keep an eye on my blog as Penguin 2.0 rolls out. As I mentioned above, I’ll be heavily analyzing websites hit the new and nastier Penguin. Good luck.